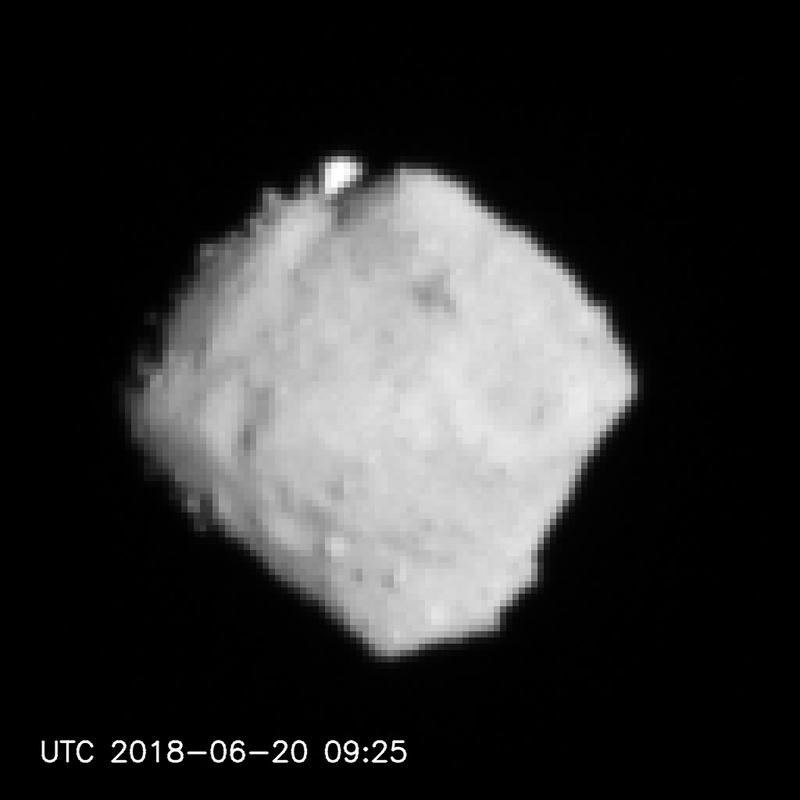 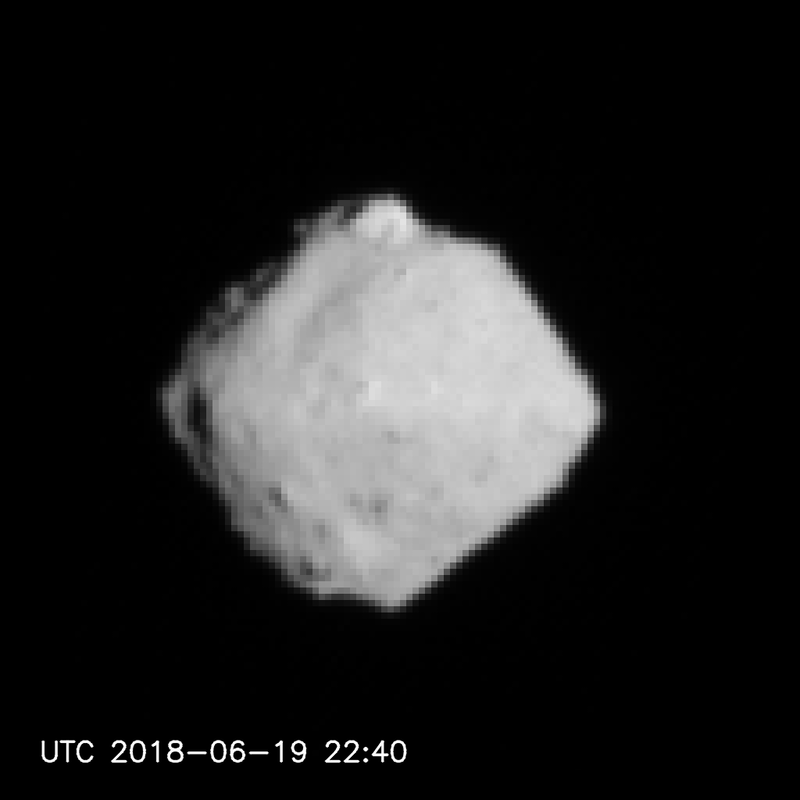 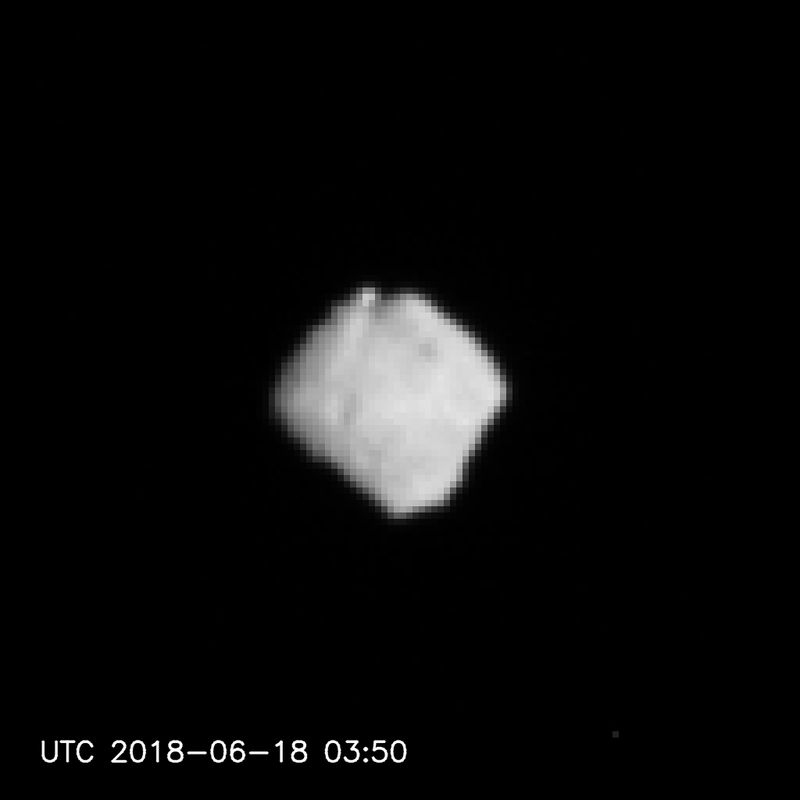 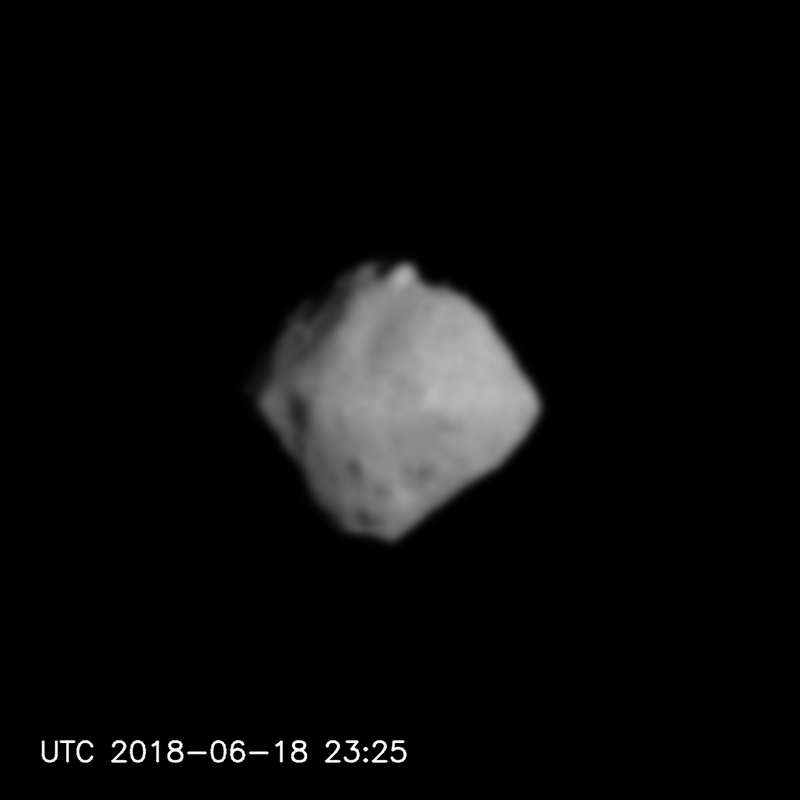 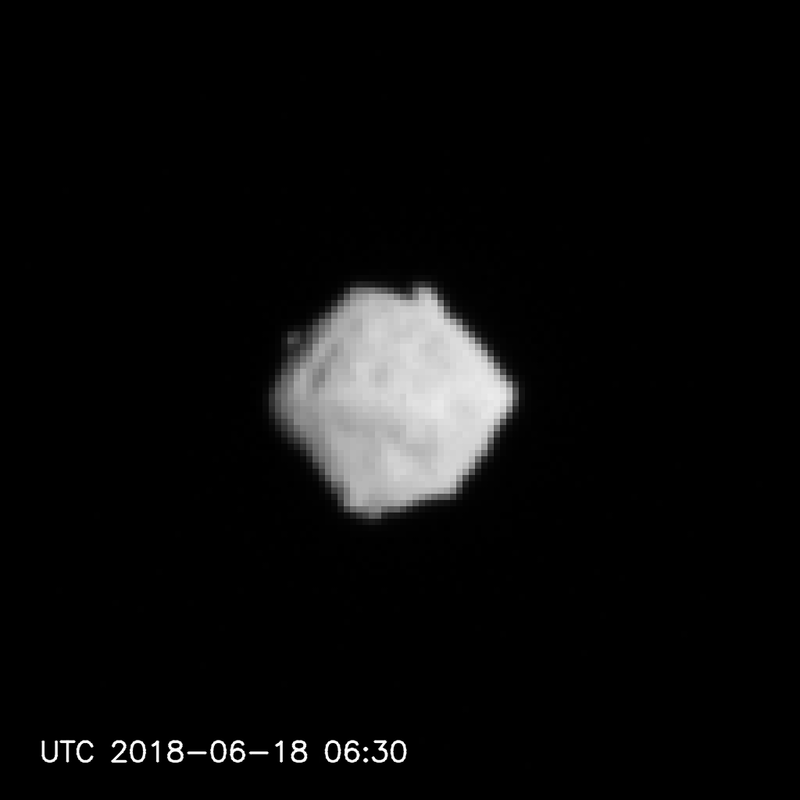 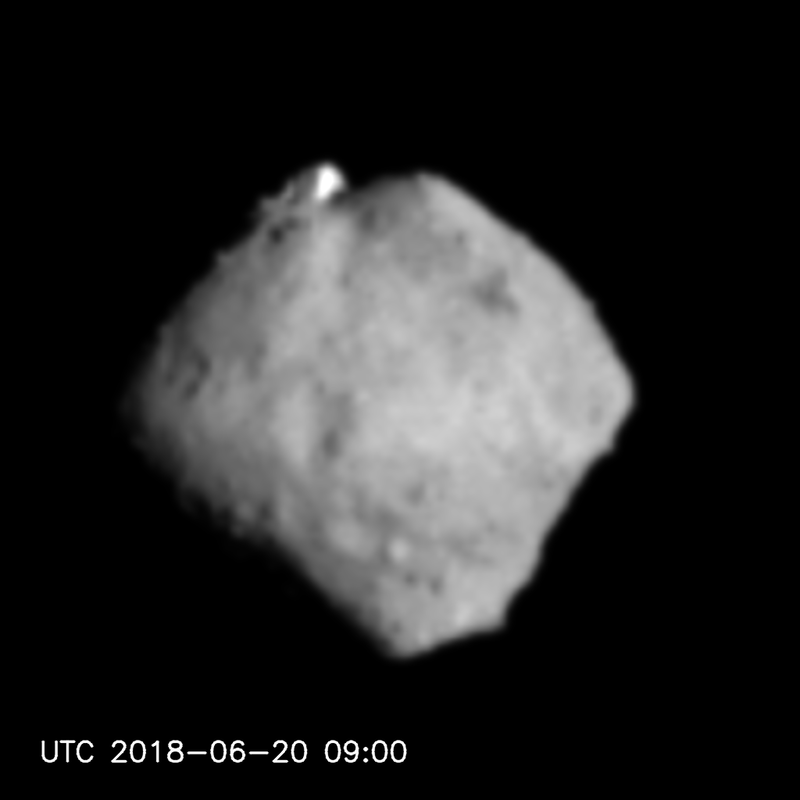 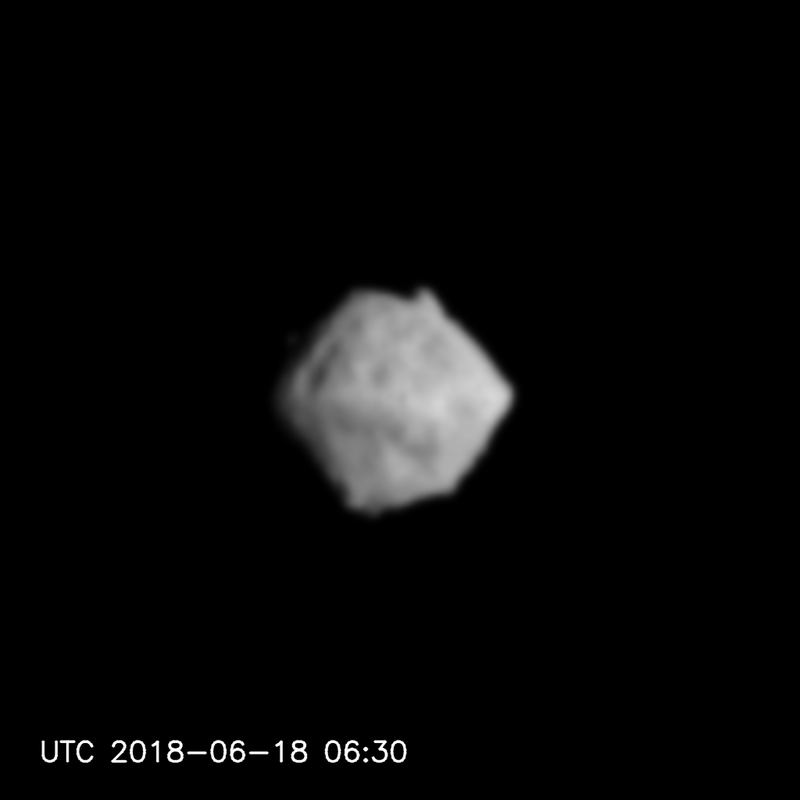 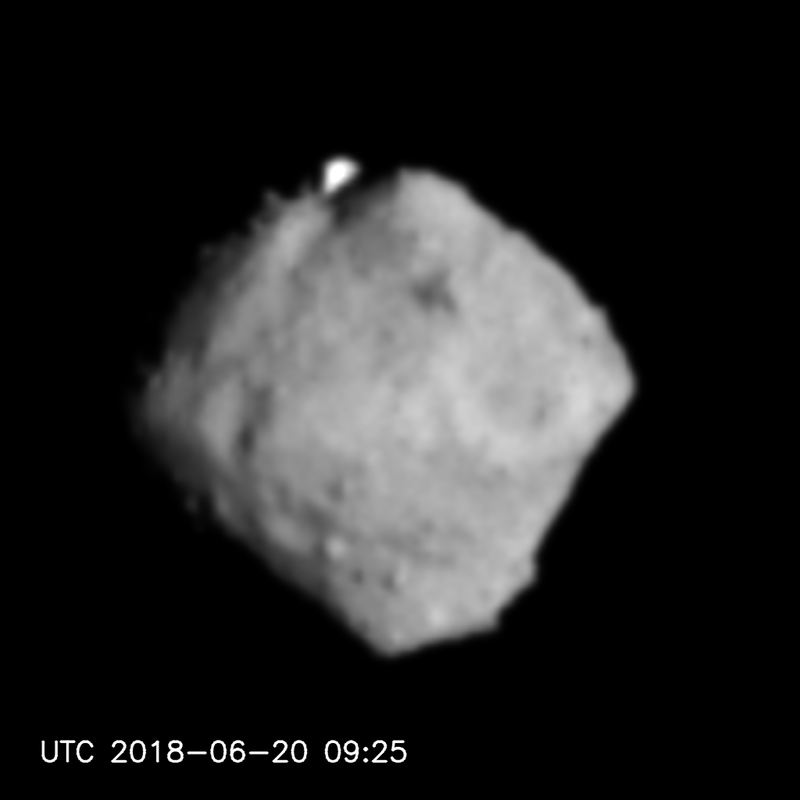 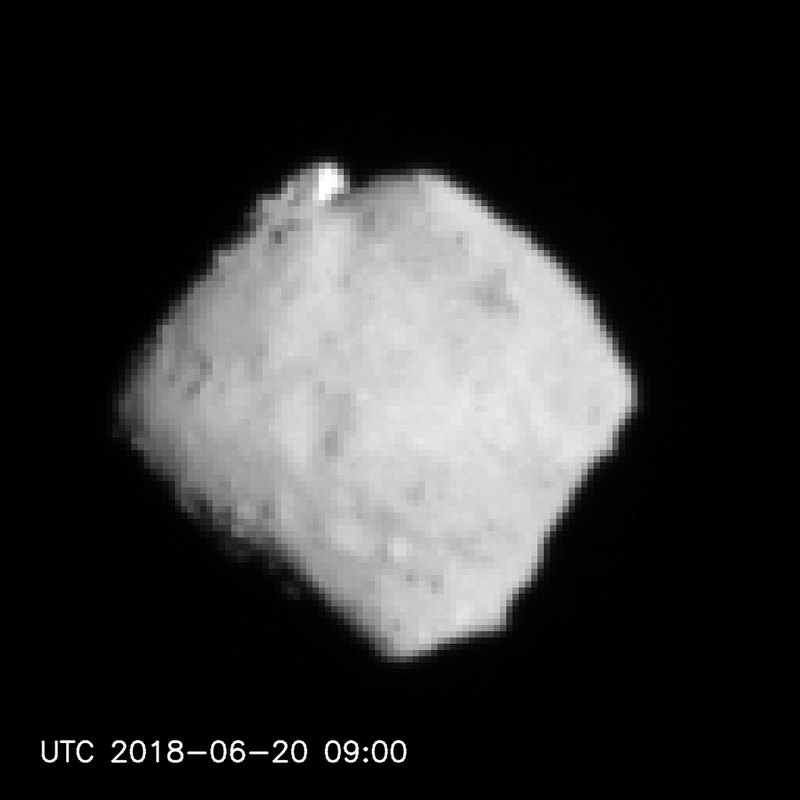 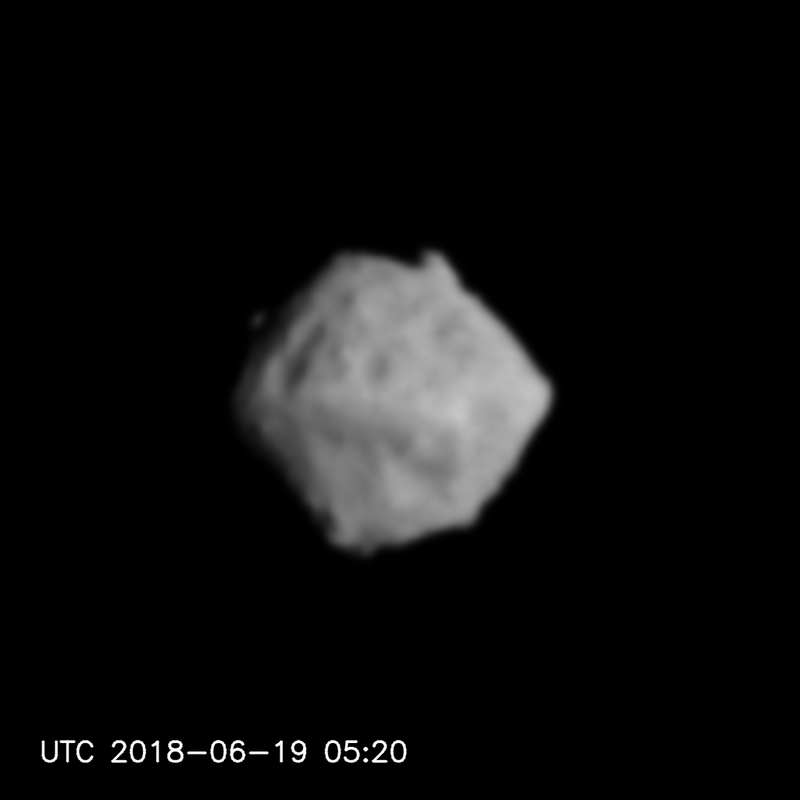 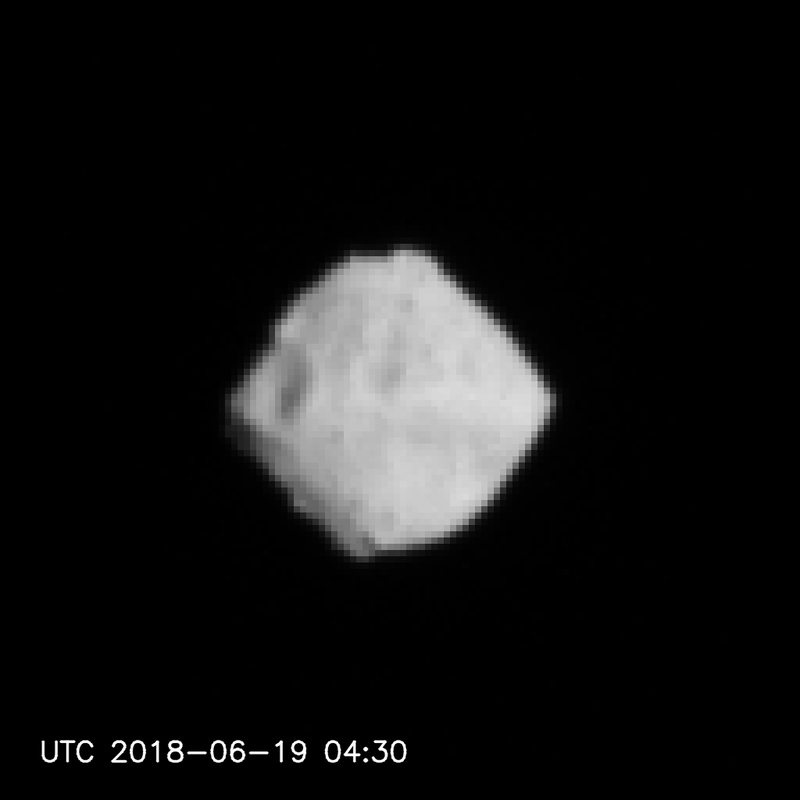 [Enlargement] Figure 1: Asteroid Ryugu photographed using the ONC-T between June 18, 2018 at around 12:00 JST and June 20 at around 19:00 JST. 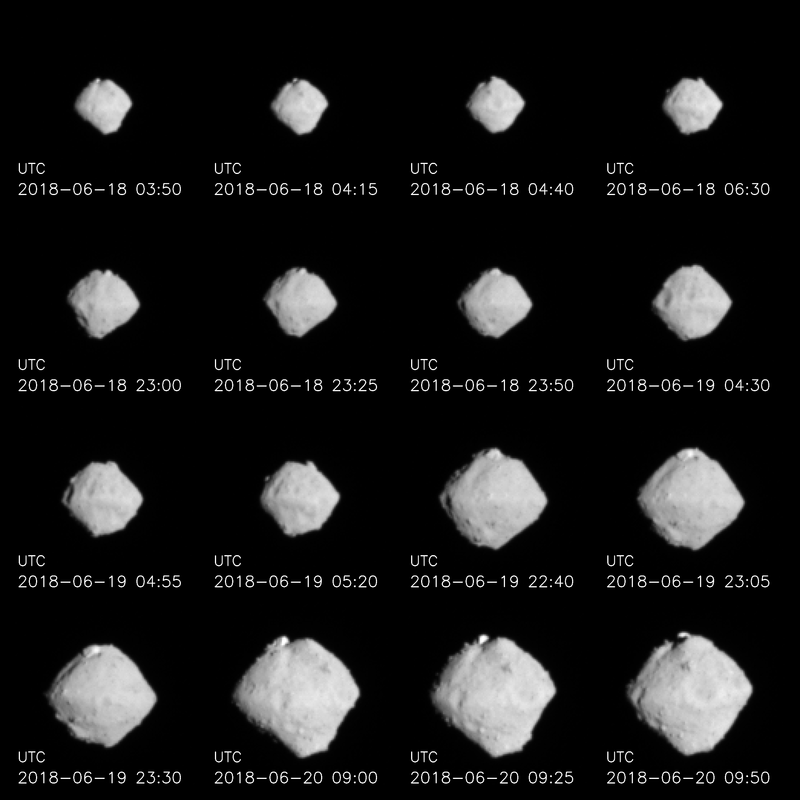 [Enlargement] Figure 2: Asteroid Ryugu photographed using the ONC-T. 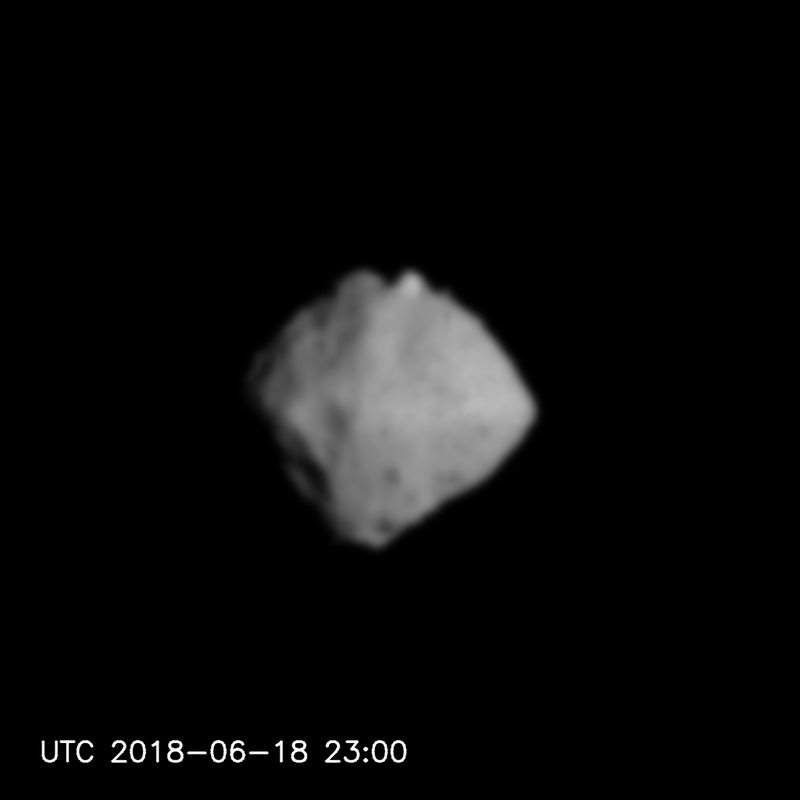 Image processing has been used to interpolate between the pixels during enlargement and emphasize light and dark regions (brightness squared). 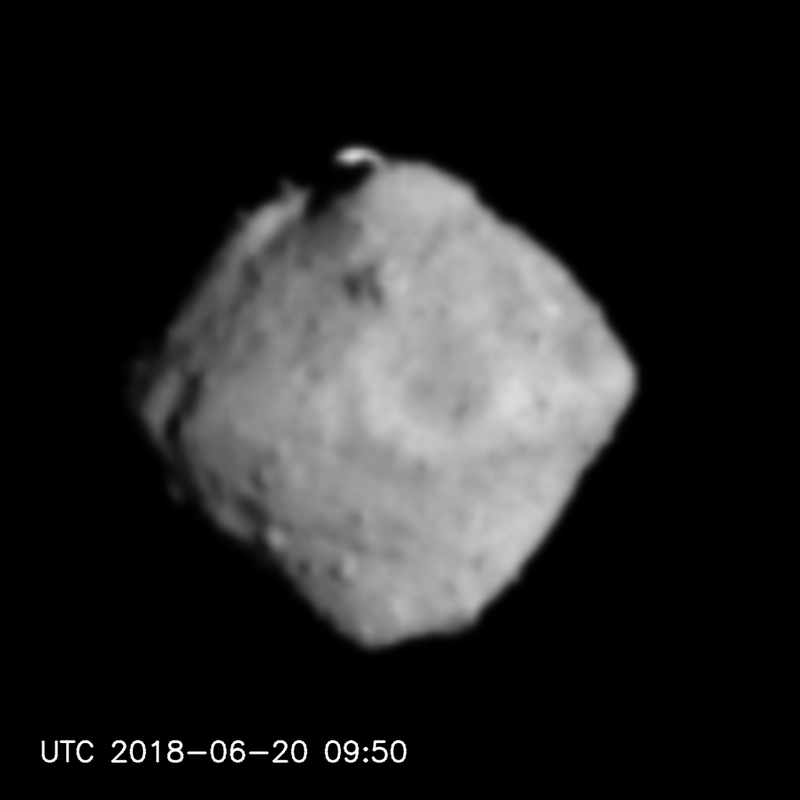 Images were taken between June 18, 2018 at around 12:00 JST and June 20 at around 19:00 JST.